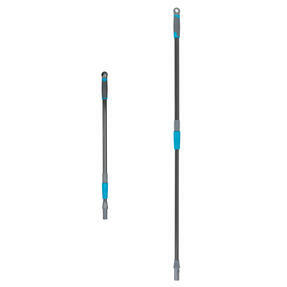 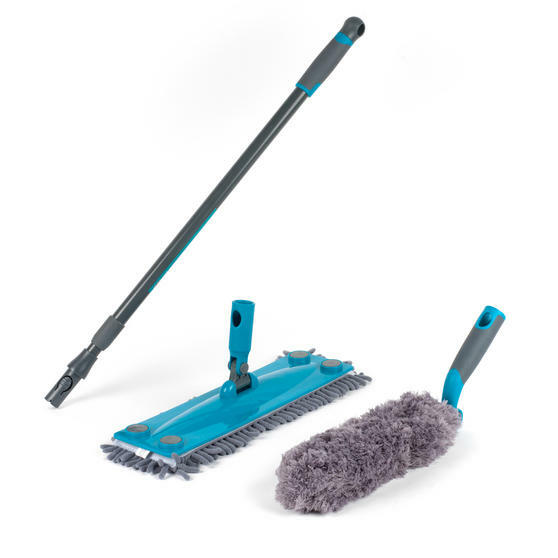 Discover a more efficient way to clean your home with this fantastic Beldray click and connect cleaning set. 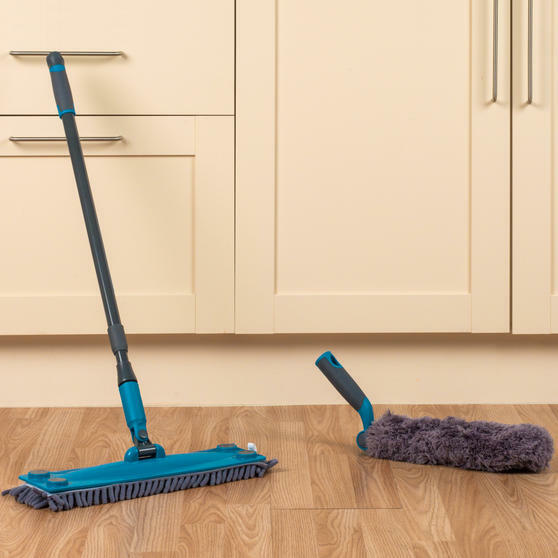 Made from strong steel, the telescopic handle extends up to 1.2 metres so you can reach further into corners and underneath furniture. 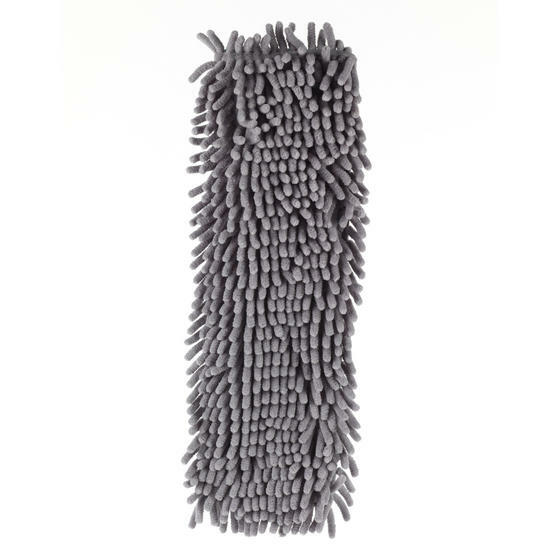 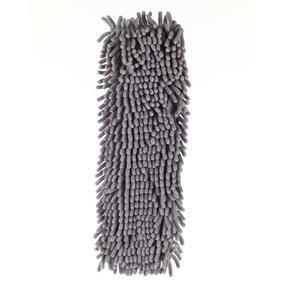 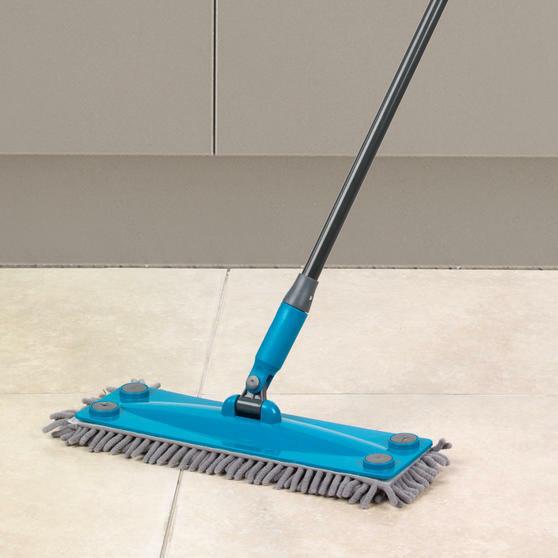 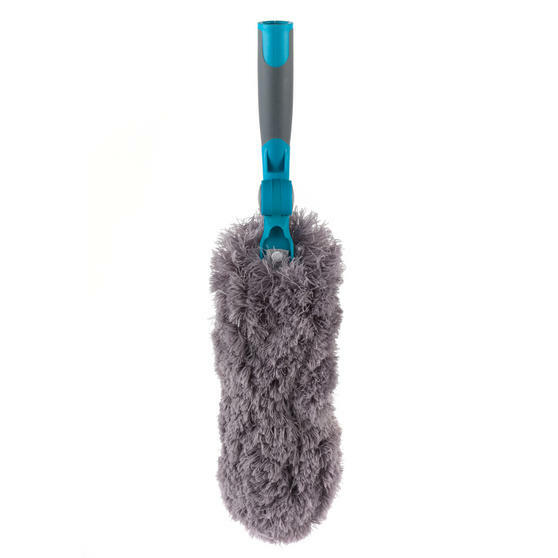 With an easy to attach microfibre mop head and duster head included you can simply change between them using the clicking system, to give your floor a thorough clean. 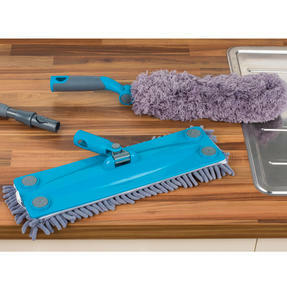 This brilliant multipurpose cleaning kit is an essential for any household. The soft touch grip is comfortable to use and hold, while the loop at the top enables you to hang the handle from a hook after use. 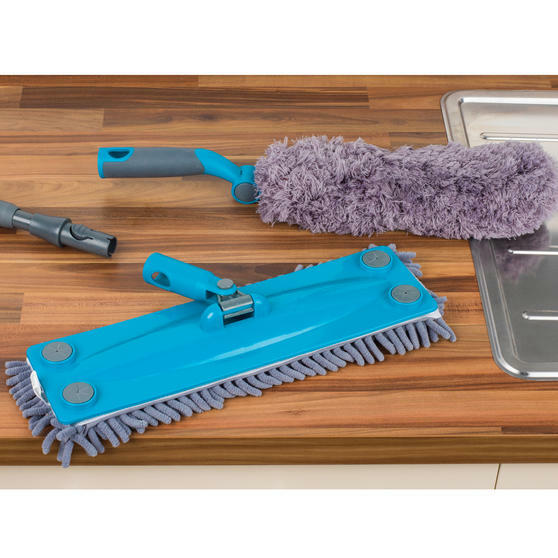 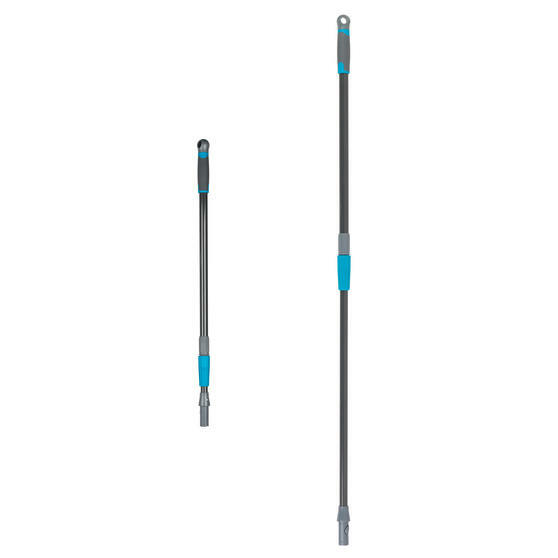 Featuring an easy to use click system to attach to the handle, both the flat mop and the duster heads can be attached in seconds. 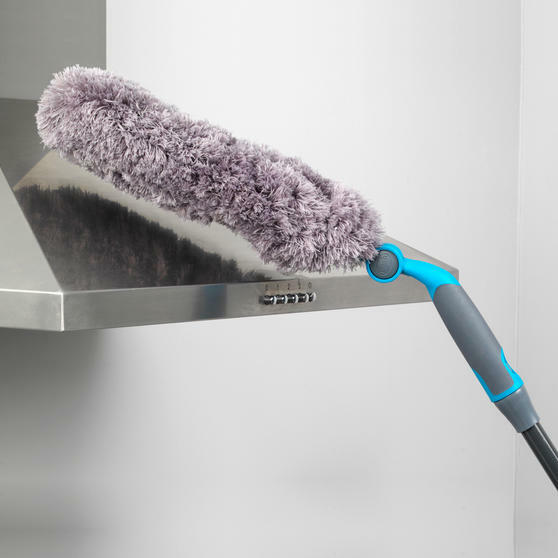 Angled for a better reach, the duster can be used to clean any surface, while the soft head will protect your furniture from scratches.